Safeguarding vulnerable adults is a part of the wider role of safeguarding and promoting welfare. This refers to the activity which is undertaken to protect specific vulnerable adults who are suffering or are at risk of suffering significant harm. As adults and/or professionals or volunteers, everyone has a responsibility to safeguard vulnerable adults and promote their welfare. Safeguarding and promoting the welfare of vulnerable adults – and in particular protecting them from significant harm – depends upon effective joint working between agencies and professionals that have different roles and expertise. Some of the most vulnerable adults and those at greatest risk of social exclusion, will need co- ordinated help from health, education, social care, and quite possibly the voluntary sector and other agencies, including justice services. work co-operatively with parents and/or other carers unless this is inconsistent with ensuring the individual’s safety. As one of its major activities Unite 4 Humanity seeks to serve the needs of vulnerable adults, promoting holistic development. In doing so Unite 4 Humanity takes seriously the welfare of all vulnerable adults who come onto its premises or who are involved in its activities. Unite 4 Humanity aims to ensure that they are welcomed into a safe, caring environment with a happy and friendly atmosphere. Unite 4 Humanity recognises that it is the responsibility of each one of its staff, paid and unpaid, to prevent the neglect, physical, sexual or emotional abuse of vulnerable adults and to report any abuse discovered or suspected. Unite 4 Humanity recognises its responsibility to implement, maintain and regularly review procedures, which are designed to prevent and to be alert to such abuse. Unite 4 Humanity is committed to supporting, resourcing and training those who work with vulnerable adults and to providing supervision. Unite 4 Humanity is committed to maintaining good links with the statutory social services authorities. For reasons of consistency and practicality, Unite 4 Humanity’s procedures for safeguarding vulnerable adults will be the same as those for safeguarding children and young people (qv) except where the law, or the specific circumstances of an individual’s need require otherwise. 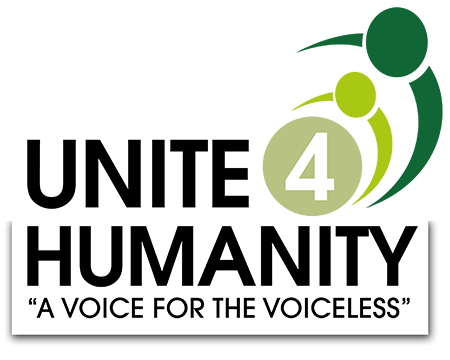 Unite 4 Humanity is a non-profit, registered charity with Charity Commission.